About-NORD (HK) Environmental Technology Co., Ltd.
NORD (HK) Environmental Technology Co is one of the biggest manufacturers of ultra-filtration membrane & water treatment products located in China. Through many years’ efforts in environmental protection Industries, NORD (HK) has grown to become one of the leading suppliers of water treatment system, MBR equipments, UF/MF membranes and related technology consulting services. With rich water treatment, manufacture and application of ultra-filtration membrane experiences, as well as professional working team, NORD (HK) is able to solve and prevent problems, protect environment, increase productivity, improve profitability by reducing customer total costs of operation, and maintain asset reliability. 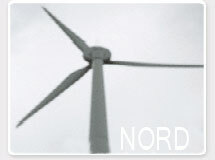 NORD (HK) holds the best R&D equipments and advanced Membrane producing and QC system of the world. Our products are widely used in the fields of power plant, steel, textile, pharmacy, petrochemical, foods, drinks, pre-treatment of seawater desalination etc. Our membranes, equipments and systems have been exported to Australia, Canada, Germany, Russia, Singapore, USA and other countries and regions. Our mission is fully committed to environmental protection, pursuit restored in the nature. For the benefits of all humankind is an eternal theme of ours NORD (HK). We are willing to meet these challenges.